Mid-Georgian Britain was a period of both elegance and desperation. As the middle and upper classes enjoyed their wealth with an increasing range of consumer goods, the poor endured debtor's prison and an increasing number of crimes with the death penalty. This, the latest addition to the growing "Living Histories Series", charts the growth of the empire and looks at the growing importance of London as a capital city where the rich and poor rubbed shoulders. 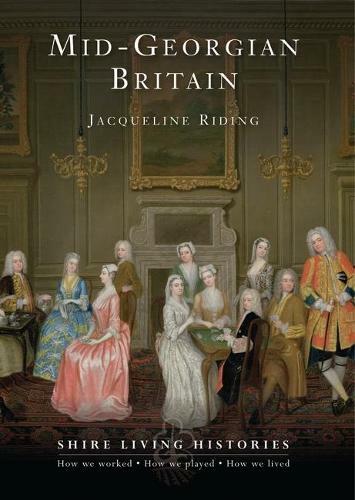 Jacqueline Riding creates a vivid portrait of the daily reality of life for a middle-class family in this age of growing affluence. I cannot recommend this little book highly enough. Elegant, witty and teeming with vivid details and illustrations it is the perfect introduction to life in Britain in the mid-18th Century.